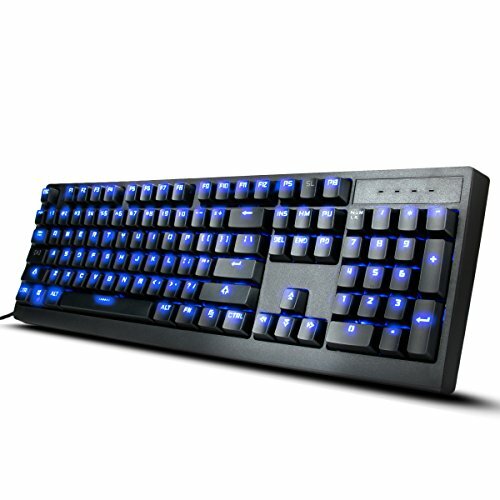 ENHANCE GX-K5 Mechanical Gaming Keyboard. Performance Tactile Switches - The GX-K5 keyboard is built for gamers. 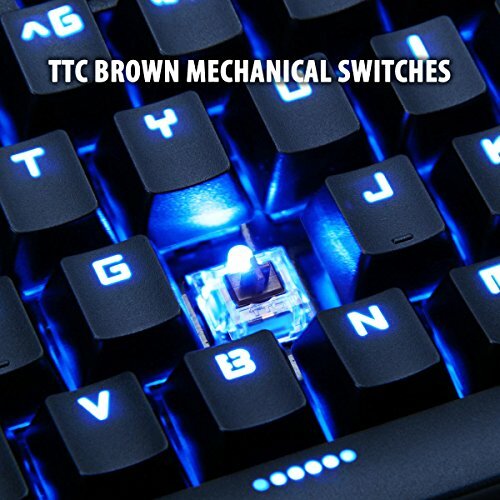 The TTC Brown mechanical switches offer a tactile feel that is both durable and reliable. The high performance switches are ideal for all gamers ranging from the newbie to the eSports competitor. With 50 million actuations , you'll have enough keystrokes for a lifetime. Durable Construction - The GX-K5 comes equipped with several features that provide long lasting convenience. 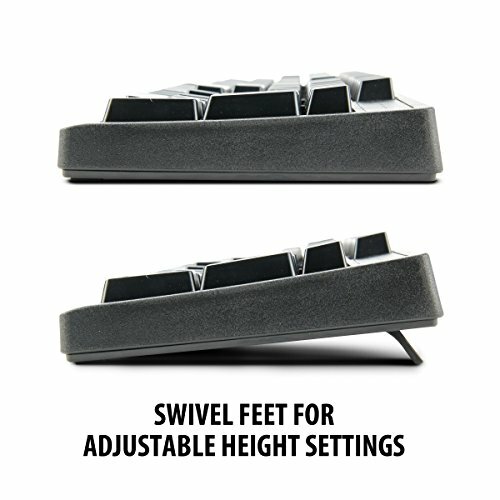 Adjustable feet accommodate 2 height settings. 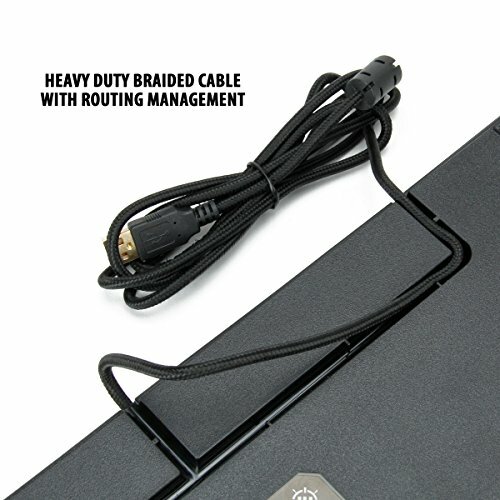 The heavy duty braided cable with cord routing management allows for extra flexibility and prevents wires from getting tangled. 18K gold-plated connectors minimize latency and supply a reliable connection for data transfer. The K5 is built with double shot injection molded key caps which provide a rich touch quality of matte texture , enhanced backlight color and intact characters that will never wear off. 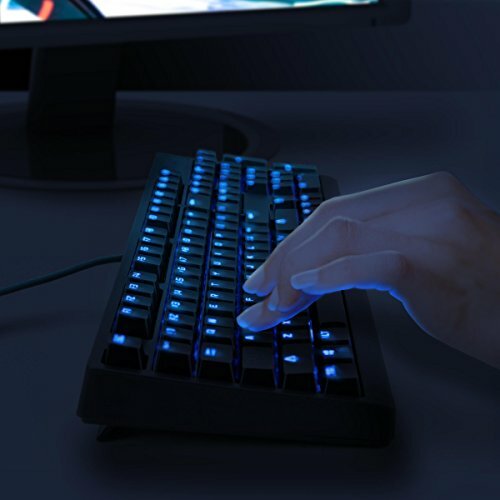 Programmability & Customization - Responsive LED backlighting is there to enhance your gaming rig with a blue glow. 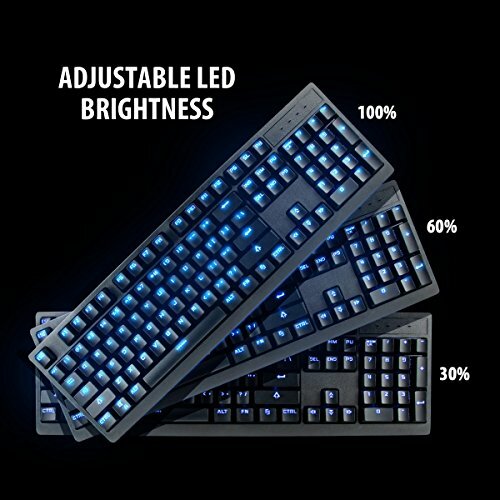 The fully backlit keyboard offers 3 adjustable brightness levels and a breathing mode. 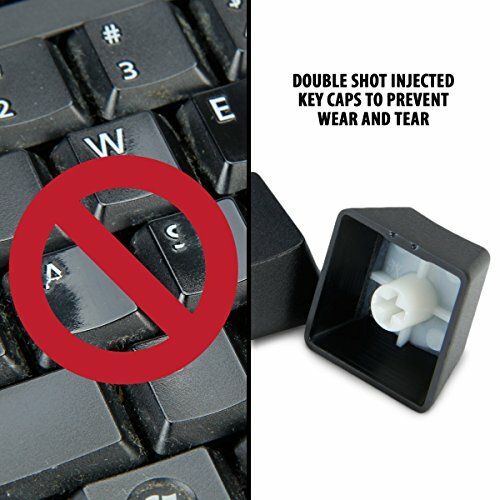 Easily bind WASD keys to arrow keys to optimize control of your favorite games and the windows key lock feature prevents you from tabbing out. 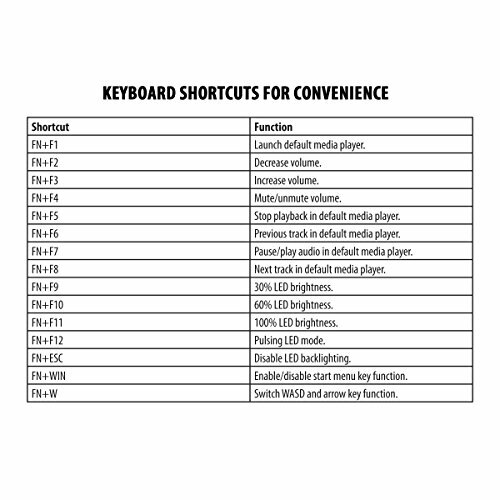 The K5 also features 8 multimedia keyboard shortcuts for easy control without having to minimize your current game or program. Works Great For: - Counter-Strike: Global Offensive , Overwatch , Call of Duty: Black Ops III , Battlefield 4 , DOOM , ARMA 3 , Tom Clancy's Rainbow Six Siege , Killing Floor 2 , Warhammer: End Times - Vermintide , Insurgency: Modern Infantry Combat , Left 4 Dead 2 , Team Fortress 2 , PlanetSide 2 , RUST , The Culling , Call of Duty: Advanced Warfare , Star Wars , Battlefront , Half-Life 2 , Team Fortress 2 , Day of Infamy , Insurgency and more PC games! 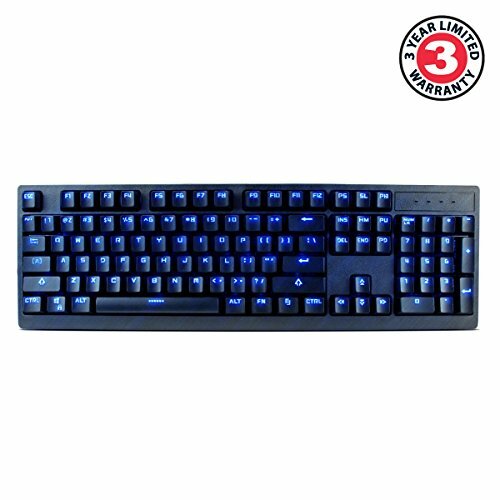 The GX-K5 Mechanical Keyboard features TTC Brown switches that are great for games including Battlefield 4, DOOM, Warhammer, Left 4 Dead 2, PlanetSide 2, Call of Duty, Star Wars, Battlefront & more! Easily bind the WASD keys to arrow keys to optimize control of your favorite games. Never tab out of your game again with the "Windows Key Lock" feature. 8 multimedia shortcut keys allow you to control your media player at all times without having to minimize your current game or program. The blue LED backlight has 3 brightness levels and a breathing mode to enhance your gaming experience. You can also disable the backlight when you want to go dark.